Healthcare costs will never go down as long as the federal government continues its menacing stronghold on the industry. 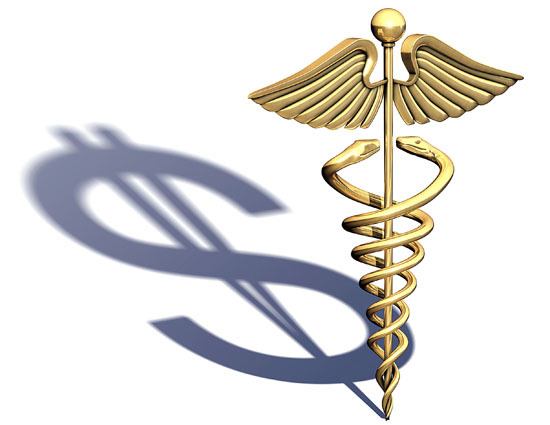 There are many reasons for the Healthcare Industry’s increasing costs. These costs are ultimately ours as taxpayers, because so much revenue goes to public programs such as Medicare (seniors) and Medicaid (indigent). Here are 4 examples of why the cost of healthcare delivery will continue to consume our economy! A ‘Provider’, commonly referred to as a Doctor, Hospital or Clinic is experiencing an increase in responsibility. For instance, a senior citizen is picked up in a ambulance and brought to the local hospital due to chest pains. The ambulance medics must bring in a list of all the medications the patient is taking at the time, and deliver them to the ER. As a result, the hospital must employ a pharmacist whose sole job is to make sure that the medicine the patient is on, jives with the treatment they are receiving, if not Medicare could avoid payment of the claim. Often times these claims do not get paid, because information was not gathered correctly or efficiently. So the hospital loses out on reimbursement. Providers are forced to make up for this deficit somehow, typically by increasing the cost of bandaids, aspirin, overnight stays, etc, etc. The costs to run a hospital are always going up; energy costs, payroll, supplies, food, etc. etc. So if reimbursements go down and claim denials go up, a hospital must create revenue from some other source to keep its doors open. Providers have to buy the components such as metal alloys, high-grade plastics, and polymeric materials which go into replacing a hip. They purchase these from a medical supplier for X, lets just use the number of $1000. So, for ease of understanding, all the components involved in a total hip replacement which a healthcare facility has to buy, would cost them $1000. Problem is, Medicare only reimburses $500 for the materials, so the provider incurs a deficit of $500 for every Medicare Covered hip replacement. Yes, that is right, the provider incurs the real price from the medical company of $1000 and only gets reimbursed $500! Again, the provider has create a way to offset the costs on this deficit. How? By increasing the costs of other services, and supplies! The more tests doctors run in their own offices, the more they get paid, whether or not a patient really needs them. Since patients are rarely paying directly for tests, and often times we dont even understand why we need them, we don’t question them. Also, when extra tests are ordered for no more benefit than the doctor’s income, we all pay for them. We pay in the form of increased premiums, and we pay in the form of increased taxes to fund government payers. In fact, over-testing costs the system millions, if not billions of dollars annually. David Bowen, who served as a Democratic health staff director of the Senate Health, Education, Labor and Pensions Committee, suggested during the time law was being written, that “this bill will not decrease costs“. “This is a coverage bill, not a cost reduction bill,” he told a group of K Street staffers. “There is stuff here that will begin to address the issue of cost, but this is not a cost reduction bill with a bit of coverage on it—it is really trying to get coverage first.” So if the goal is coverage and not costs, then where is the money going to come from? You guessed it, your pockets! Either in the form of taxation, increased premiums on insurance policies, reduction in coverage, or higher co-pays and deductibles. There are some other goodies in the healthcare law that are also not realized by the public, see here! You could also add fee for service rather than fee for quality. You touched on this with the diagnostic tests, but it really encompasses all of health care. And complete lack of attention to diet and physical fitness all throughout K-12. Our biggest costs are related to cardiovascular disease, obesity, and diabetes. I’m not in favor of the government telling us what to eat, but schools should have healthy food and physical education should be mandatory in all grades. Maybe bring back cooking classes too. Well said! I think schools are getting better with their diets, but certainly more physical education and the importance of it, should be stressed.